Ella no era para mí una mujer: era la misma estepa, la tierra desconocida, la enorme ignorancia que me tortura por lo que no ven mis ojos, ni tocan mis manos. No, no era una mujer tan sólo: era el misterio, la pasión de conquistar lo desconocido: era el último jirón de mi juventud. This journal is semi-friends only. Everything related to fandom will be public. Personal stuff will be locked. 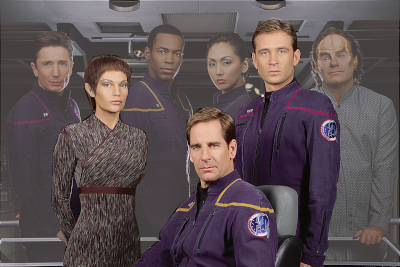 These past months I watched Enterprise for the first time and I've got some thoughts. So, would I recommend it? In short: only if you're a trekkie, and even then probably after watching some other Star Trek series. But in those cases, go for it. Here are some songs I specially enjoyed last year. I'm sure there are a lot more but this kind of mean something more (groups I started listening to or fell in again for, routines I started). First of all, I'm superhappy because I made a reading challenge with myself of reading 5 books this year (I had totally abandoned reading) and I ended up finishing 13 books! If you haven't read it: it's a beautiful and tragic, exciting and tender story. If you have, keep reading. I'm in love with Sarah Paulson. I have recently discovered how funny she is and what a deep, great person she is, so there was nothing else I could do. Lately I've been checking out some interview videos with Cate Blanchett, Sandra Bullock and Sarah Paulson and I have to say: I went in loving both Cate and Sandra and knowing nothing about Sarah, and came out absolutely * loving * Sarah and feeling a bit colder about both Sandra (who is a bit too serious) and Cate (who is not exactly how I had pictured). The way she keeps goofing around every second of the day, the way she feels weird in the red carpet and how she is dating a woman who is 30 years older than her (44 vs 75) is just amazing to me. So. Ocean's 8. Here we go with the most wonderful outfits women can wear. You're lost in the woods. We all are. I recently watched the complete series: I started it a couple of months ago and got really hooked. I've been having ALL THE FEELINGS and I need to share the last ones.